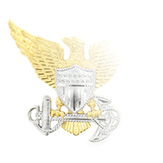 The Navy Meritorious Civilian Service Award (MCSA) is the third-highest honor that can be conferred upon a civilian employee of the Navy or Marine Corps as part of the Department of the Navy’s Incentive Awards program program. This program was established as a means to recognize and foster exceptional efforts, achievements, and contributions made by civilian employees that have enhanced mission accomplishment at a local command or in an organization in the Department of the Navy. 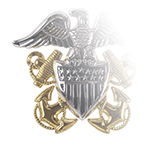 This award is approved by the commander or head of a Headquarters Staff agency for meritorious service or contributions that were of high value or benefits to the Navy or Marine Corps. 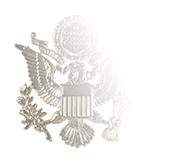 For the same type of service or contributions but of a larger scope or with greater impact, the Distinguished Civilian Service Award or Superior Civilian Service Award is more appropriate. 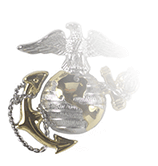 Though awarded to civilians, it is of course possible for a member of the Navy or Marine Corps to earn the award either before or after their Active Duty or Reserve service. In such a case, the MCSA is classified as a Non-Military Decoration (NMD) and its precedence as such is determined by the order of the date of acceptance, unless the wearer has earned another NMD from the Department of the Navy; in those instances the medal’s precedence is determined by DON RULES. 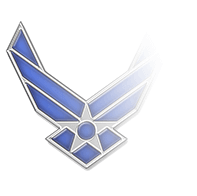 At least one military award must also be worn if the MCSA is worn on a uniform.